BackupChain can back up hardware RAID (redundant array of independent disks) arrays as well as software RAID arrays. The contents of a RAID array can be backed up to other arrays or to single disk drives. Replication of one RAID array to another target of any kind can be automated. Array to array or array to disk copies can be done on a sector-by-sector basis or on a file basis utilizing version backup and providing a history of changes to restore from. RAID arrays can be backed up by cloning them to other arrays. You can use a sector-by-sector exact copy that can be configured to skip unused space or a file-by-file backup method that is faster with subsequent backups. RAID arrays can be cloned to a single drive as well or a RAID array of a different type that may be larger. RAID arrays can be backed up by creating an image file that contains the contents of the RAID array, usually only the actual occupied disk areas. Images can be archived on backup servers and other storage media as a backup method. 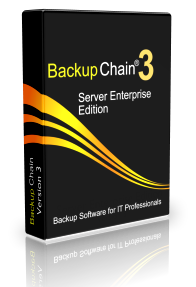 With BackupChain you can easily set up backup task to back up RAID contents to Network Attached Storage (NAS), iSCSI, USB drives as well as FTP sites. Using file versioning backup, the RAID array files can be moved to offsite locations or other network servers that may be using a different file system internally. In addition, RAID arrays can be processed at the sector level, either through RAID array disk cloning or RAID array disk imaging. BackupChain supports software based RAID arrays created using Storage Spaces, which was introduced in Microsoft Windows Server 2012. Storage Spaces are a cost-effective alternative to SAN devices and other common storage devices. You can use BackupChain to back up from and to such devices using various connection protocols. RAID 0 is a so-called stripe array where several disks are merged together into one volume. The next block is always on another disk, and this arrangement allows for very fast consecutive read and write operations. By reading and writing to several disks simultaneously, a typical RAID 0 backup can be performed quite fast. RAID 0 are much more likely to fail than a single drive. In fact with every drive added to the RAID 0 array the risk of failure increases. Consider a large file that is stored in all disks of the RAID 0 array. If just one sector on any one of the disks is damaged, the file can no longer be recovered. RAID 1 is the mirroring kind of RAID that uses a second drive. The second drive receives the same data as the main drive and hence acts as a mirror. This type of arrangement protects against hardware defects on one drive, however, it does not protect against accidental deletions, data corruption, malware, ransomware, and other risks of data loss. RAID 5 uses striping like RAID 0 but also adds a parity block on all drives. All drives in the array are required to be present for this arrangement to operate. If there is a single drive failure, the missing data can be calculated from the parity blocks on the remaining drives. RAID 10 (redundant array of independent disks) is also known as RAID 1+0 because it combines striping and mirroring. Each drive has a mirror drive and striping is also being used. It’s basically an arrangement were you get the speed of striping without the risk of RAID 0 because there is a mirror drive for each drive. RAID arrays provide some protection against hard drive failure, whether mechanical or electronic. In addition, many sophisticated RAID array controllers allow the hot swapping of hard disks. Depending on your RAID level and arrangement, hard drives can be replaced while the array is in operation. Other than hard drive defects, RAID does not really function like a backup. Another important feature of backup software is that it takes a consistent snapshot of all data present, even across many disk devices simultaneously, and moves that data elsewhere where it can be protected against manipulation, accidental deletion, theft, and loss. Having such snapshots (a.k.a. version backup) allows users to restore older versions of files even if the source system is completely damaged. While RAID 1 and RAID 10 are great for keeping servers running when individual disks fail, they offer nothing more compared to a comprehensive server backup solution.